I read all types of books but mainly fiction. I have read many bestseller books. "It is the best adventure book ever written"
Thsi book written by RL Stevenson is really the best adventure book ever written. 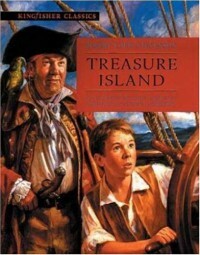 Treasure Island takes the readers on an unforgettable journey in the ocean. The twists and turn are really breath taking. I reccommend it to everyone.